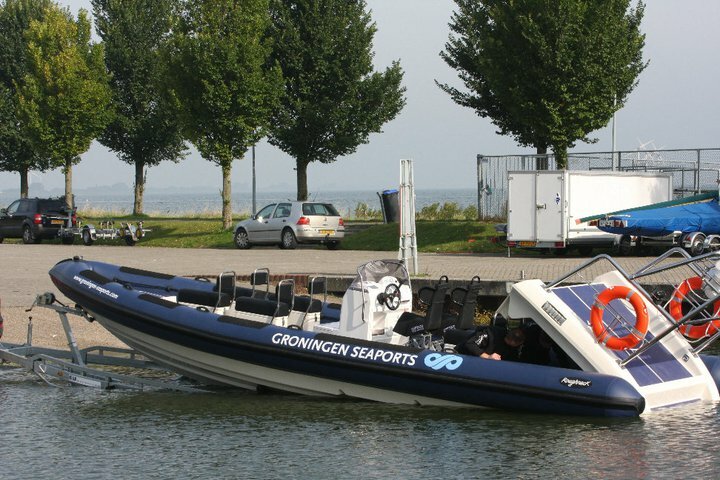 Roughneck designs and builds all its boats for more than 10 years in the Netherlands. Characterized by particularly excellent sailing performance, stability and manoeuvrability at sea, it makes a unique product. 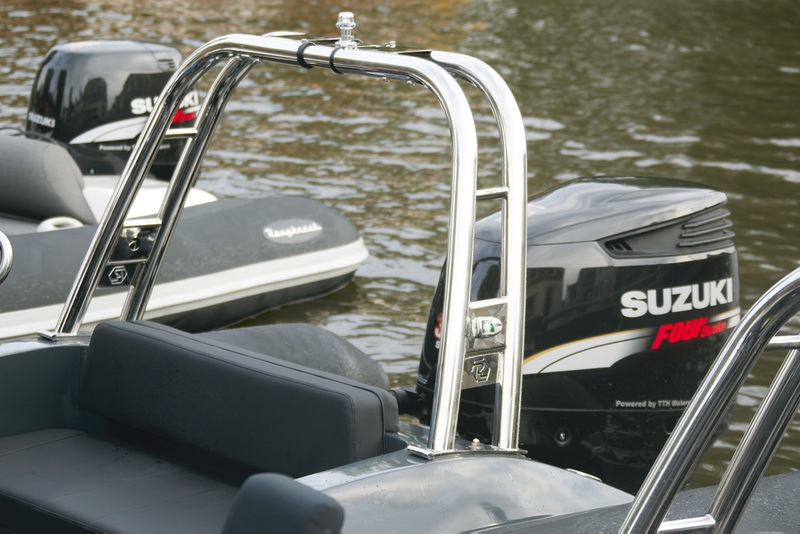 No Rib boat brand has won as many international awards in recent years as Roughneck Marine. VFI means Ventilated Flow Interrupter, or stepped hull design. This is a unique stepped hull design with a solid profile, allowing the boat owner to have a much better performance than any other similar rib in its class. 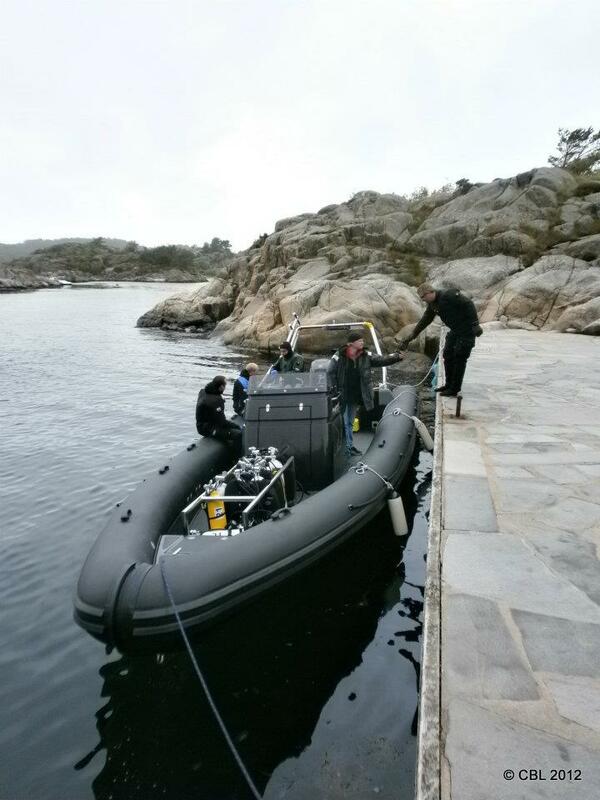 Roughneck has applied VFI technology to the whole range of its Ribs. Not every 'step' hull is created in this unique way which ensures that essential sea keeping characteristics are given the foremost attention during production. This requires an excellent understanding of water movement and boat design. Roughneck have managed to perfect their boat design technique as shown by the enormous international acclaim expressed about our products in recent years. Roughneck are also known for the top level design. The naval architect Frank Mulder of Mulder Design (Known from the award winning VanDutch55 Boat) is responsible for the unique and sleek appearance. Equipped with powerful 300hp Suzuki engines, the boats can achieve speeds over 110 km/h. Often seen competing in the European RIB Rally's - known for their often rough conditions , these eight meter long RIB boats (Rigid Hull Inflatable Boats ) make amply demonstrate their top quality. In fact they are unsurpassed in terms of speed, comfort and security - they are the top choice! Comfort of passengers is one of the foremost aspects in our minds. 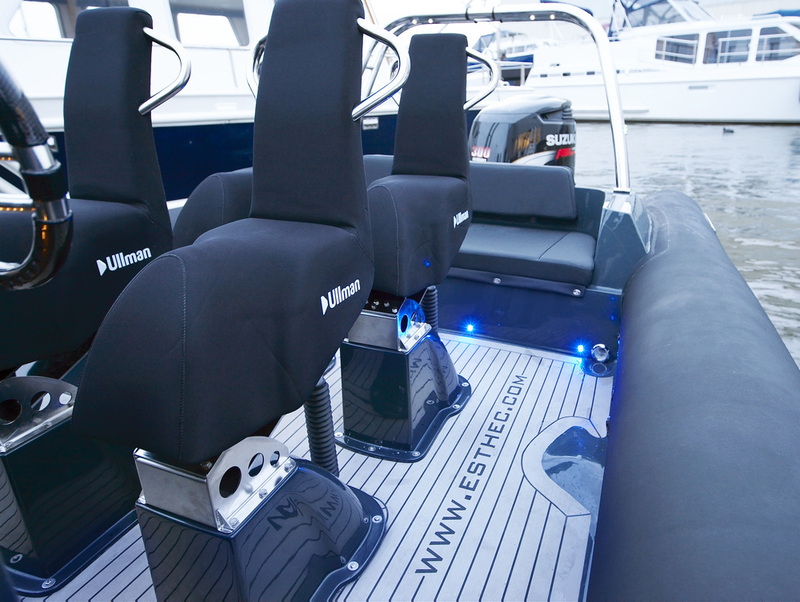 For this reason, all the boats are equipped with specialist Ullman Dynamics brand seats. Having excellent built in suspension, the seats even provide sufficient stable support for people with back problems, ensuring minimal shock as the seats counter the up and down motion of the boat. Even a rough sea is therefore 'plain sailing'. Obviously safety is paramount, these boats can not sink. Besides the compulsory lifejackets for everyone on board, the crew gives special safety instructions to all passengers. The boats have the latest navigation technology such as Garmin 5012 GPS and each boat is also equipped with standard VHF radio, fire extinguisher, first aid kit and emergency signalling equipment. 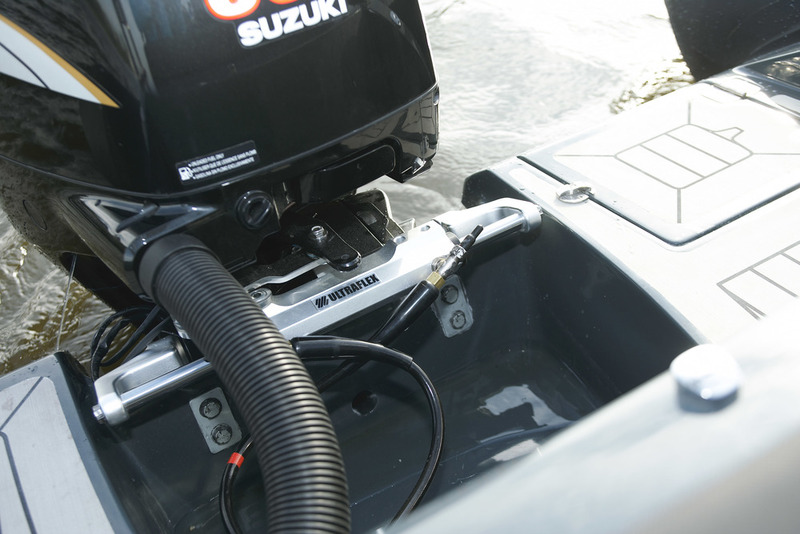 The boats are equipped with environmentally friendly Suzuki DF 300 four-stroke engines. Even at the highest speeds they barely make a sound, and they also keep the CO2 emissions to a minimum! The Roughneck 1010 is equipped with a Yanmar 370 hp inboard turbo diesel engine which can take it to speeds in excess of 95 km/h. With room for up to 15 people on board, this boat is one of the largest in our fleet. Much attention has been paid to the design of this boat. The specialist 'ESTEC' floor ensures a constant pleasant temperature underfoot - very important when the sun is out! The jockey seats are comfortable with luxury finishing, and the Captain's console at the helm is a real eye-catcher. 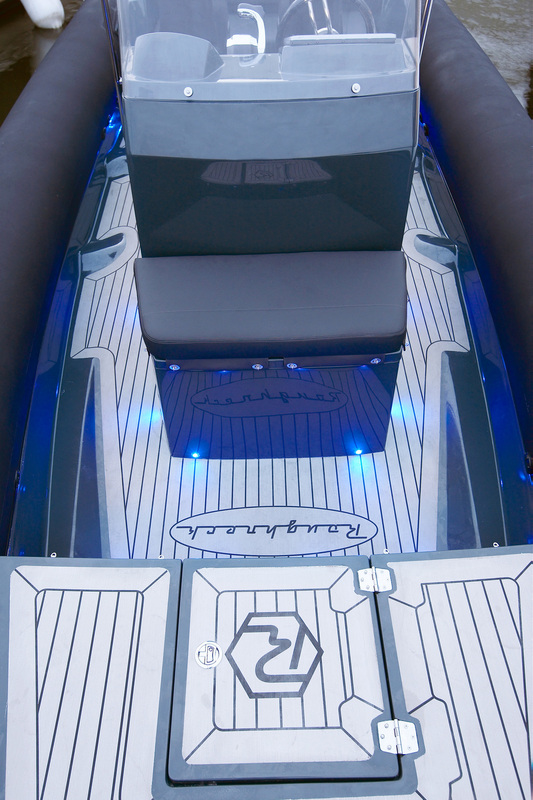 To set the right atmosphere or simply to party, the boat boasts an excellent on board sound system. And, to top it all off, after sunset, the 1010 is a pearl in the sea … lit up by the 'blueled' spotlights. The OceanLED spotlights even light up the water under the boat. Technology never stands still, and certainly not for waterworld. This boat is therefore controlled by the latest hi-tech NMEA 2000 computer enabling all electronics to be connected and controlled by a single system. Several structural components in the boat use specialist Nano technology. With it's digital 3D navigation system you can even see the full profile of the waterways, overlaying the sub surface visual together with the above sea level radar profile. The boat comes with the best safety equipment available. From life-jacket to communications equipment, nothing is lacking. And to give passengers piece of mind, there will always be an extensive safety instruction before departure on any boat in our fleet and with every tour that we provide.